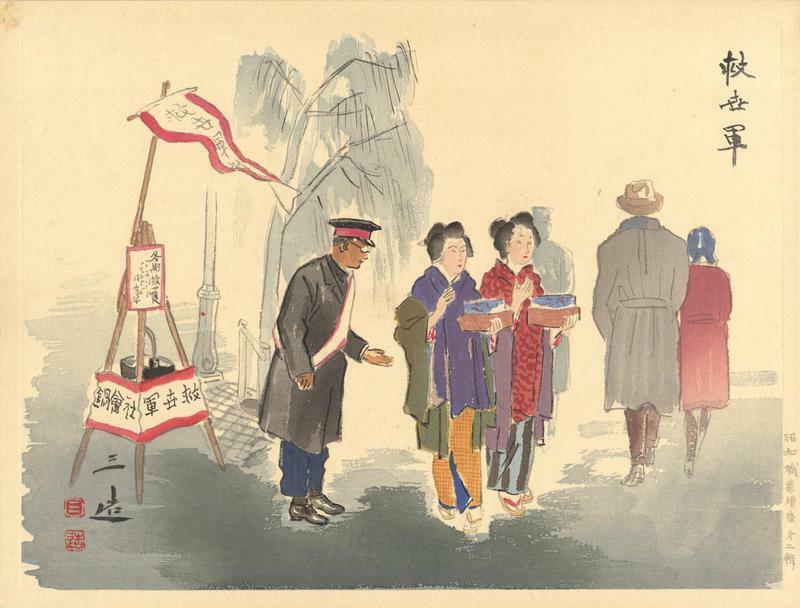 Wada, Sanzo (1883-1967) "Salvation Army" - Woodblock - Chinese and Japanese woodblock prints for sale, silkscreen, scrolls, watercolor, lithographs. Artwork Details for Wada, Sanzo (1883-1967) "Salvation Army"
Condition: One ink spot at mid left and slight bleed-through of original tip-mount glue at upper left corner, otherwise fine. Strong embossing; Tip mounted in two places to the original series backing sheet.